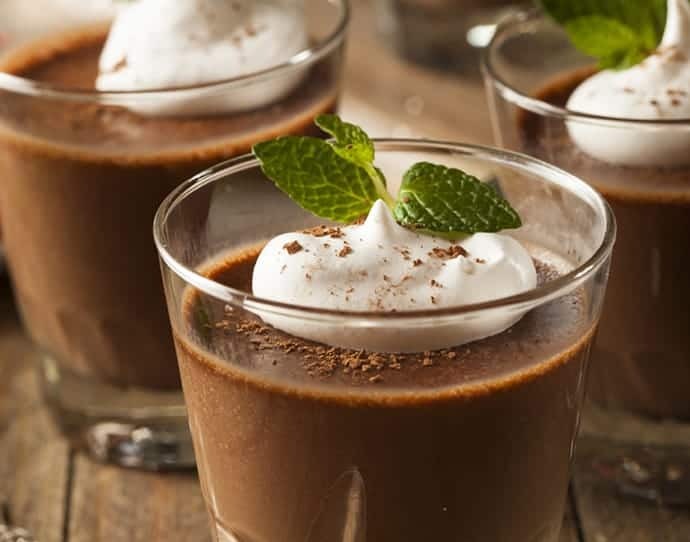 Irish Mint Chocolate Mousse: mint chocolate… in anything… is divine. 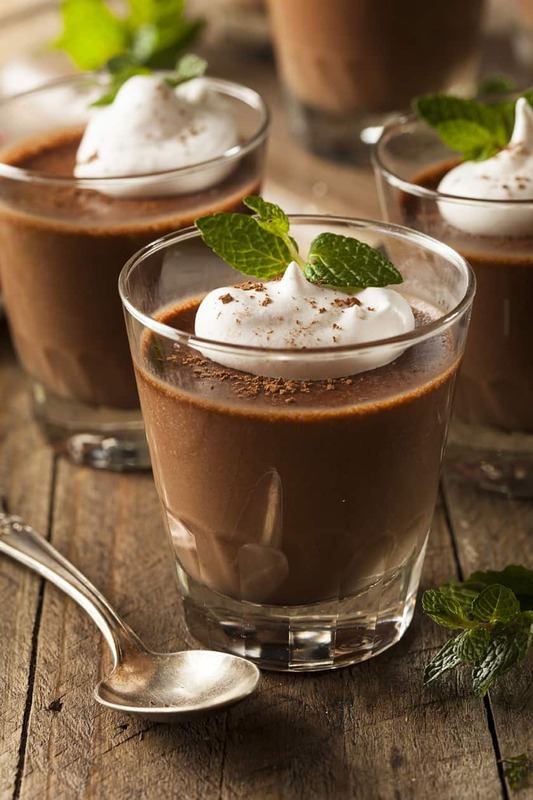 But a rich, mint chocolate mousse that takes 5 minutes, literally, is almost unbelievable. Except… it’s not, unbelievable, that is. It works. It’s easy. It’s quick. And it’s incredibly rich and velvety… and heavenly. I was a skeptic that it could take a mere 5 minutes. I’m happy to report… I was wrong. Perfect for St. Patrick’s Day, or the holidays dressed up with a bit of peppermint, garnished with whipped cream and fresh mint sprigs. I think it might be my new favorite chocolate dessert. You have to try this. 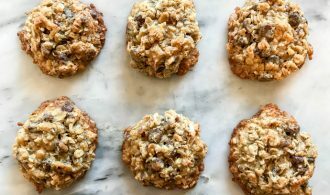 This recipe is so simple that it relies heavily on quality chocolate. I was fortunate that my sister has just returned from Germany where she brought me, yes, some amazing dark chocolate bars. Which, I did use in this recipe. Look for brands like Valrhona, Scharffen Berger, or Ghirardelli. The chocolate should be at least 70% cocoa. If you’re wondering what makes this recipe “Irish?” It’s the green of the mint. Or, you could make it more Irish by making Whipped Irish Cream. Mint Chocolate… in anything… is divine. But a rich Irish Mint Chocolate Mousse, that takes 5 minutes, literally, is almost unbelievable. Except… it’s not. It possible and absolutely delicious. Add ice cubes to a larger bowl and fill it 3/4 full. Nest a smaller bowl into the ice. You will pour the melted chocolate sauce into this second bowl to whisk. Set aside. Pour the water into a saucepan, add the sugar and mint extract, whisk to combine. Then, over medium-low heat, whisk in the chocolate until completely smooth. Pour the melted chocolate into the nested bowl in ice cubes, then whisk the chocolate sauce, either manually with a whisk or with an electric mixer. 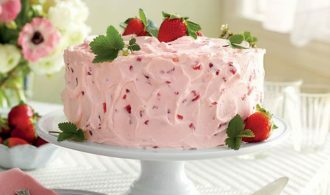 If using an electric mixer, watch carefully as it will thicken very quickly. By whisking or beating, you are creating large air bubbles in the sauce which allows it to thicken. After a few minutes or manual whisking, strands of chocolate form inside the loops of the whisk. Spoon immediately into ramekins or small containers and let set. I refrigerate the mousse for 15-30 minutes to set completely and then garnish with freshly whipped cream and fresh mint leaves. I first read this recipe here. They note three things that can go wrong… and how to fix them.